Sherwin-Glimour Party Center is certainly not a small wedding venue as there is room for hundreds of guests, but it can be made intimate for any occasion. 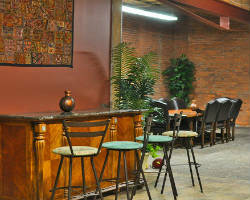 Reviews of the space rave about the romantic décor and the affordability of all of the services from this venue. Not only can you host your event here, but you can also have the professional staff help you plan the event and they will develop a catering menu as well. There is no venue more accommodating. 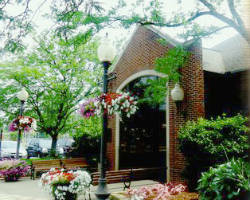 Windows On The River is a classic wedding venue in Cleveland, OH. This venue has high ceilings and rustic brick, but it also overlooks the river giving it a unique rustic and urban fusion of style. This former power company building has been completely revamped as a wedding and party venue in the historic district of the city. While there are still industrial design elements, the mixture of romantic style creates a beautiful space. For breathtaking views and a memorable wedding and celebration, this venue is the absolute best. A garden wedding venue can be unpredictable with the weather and a church ceremony may not be to the tastes of a young and modern couple. Choosing a venue like KD Party Center ensures you will have a beautifully decorated space that matches your event style and is completely hassle-free. 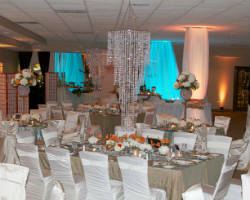 This event center has hosted countless gatherings, Quinceaneras and wedding receptions flawlessly. The staff works to ensure you get to enjoy your night of celebration while they do the hard work behind the scenes. There are countless places you could choose to have your wedding ceremony and reception, but some come with a much higher price tag. The Middleburg Heights Community Center has facilities that are owned by the community and can therefore be rented out for private events for relatively cheap prices. Being affordable is just one advantage to booking their outdoor pavilion or community banquet room. You can choose from a variety of spaces that are a blank canvas for you to decorate and style as you like. Having your wedding in a ballroom is always a sophisticated choice. 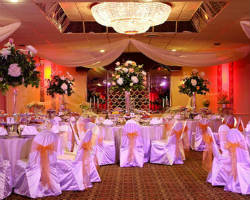 The ballroom provides an instant feeling of class when guests step into your traditional and formal affair. Pazzo’s Grand Ballroom has been the first choice for many couples that want to have a refined wedding experience. The on-site catering as well as the excellent staff make this a perfect wedding venues for couples who want hassle-free planning. 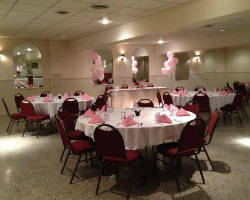 Everything you need to have a gorgeous wedding is here at Pazzo’s. Wedding vendors are becoming more and more versatile to meet the demands of Ohio couples. While some may like the idea of planning every aspect with different boutique vendors, Brennan’s Catering and Banquet Center offers a variety of services for couples who like easy and simple planning. This company offers reception halls that can be decorated to match your personal style or can be made to simply look romantic and fresh for your reception. The catering and planning services are a bonus when you choose this venue. More couples are choosing not to have a wedding chapel ceremony, instead opting for something more modern. 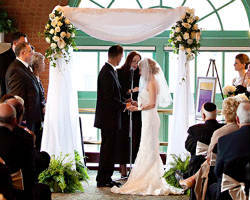 That is why here have been countless weddings held at the Ariel International Center. 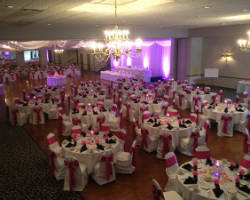 This venue has a unique layout with a spacious lake view room, event center and decorated rooftop, each on different floors of the facility. The views of the water can be seen from any part of the venue as the large windows let in natural light and allow guests to have a beautiful view.